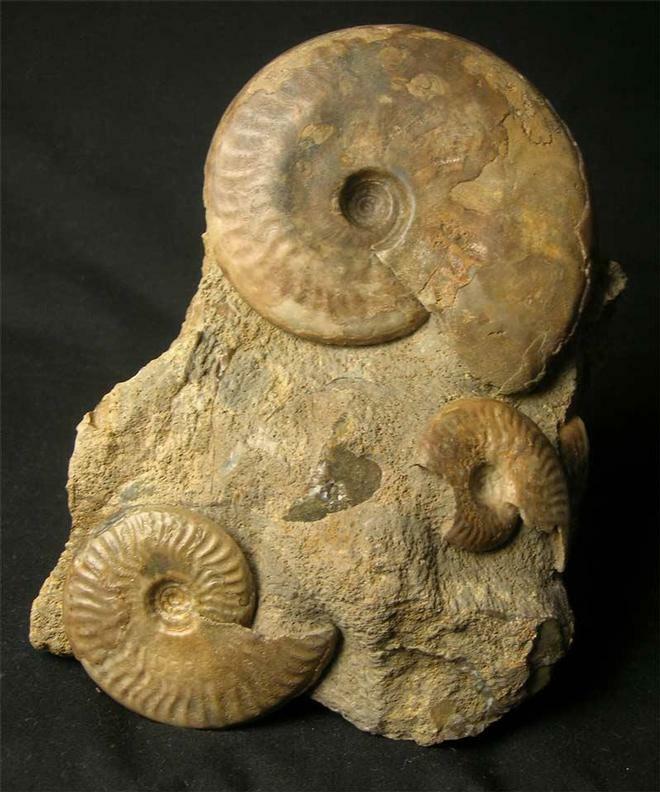 This superb display multi-ammonite fossil would grace any collection. 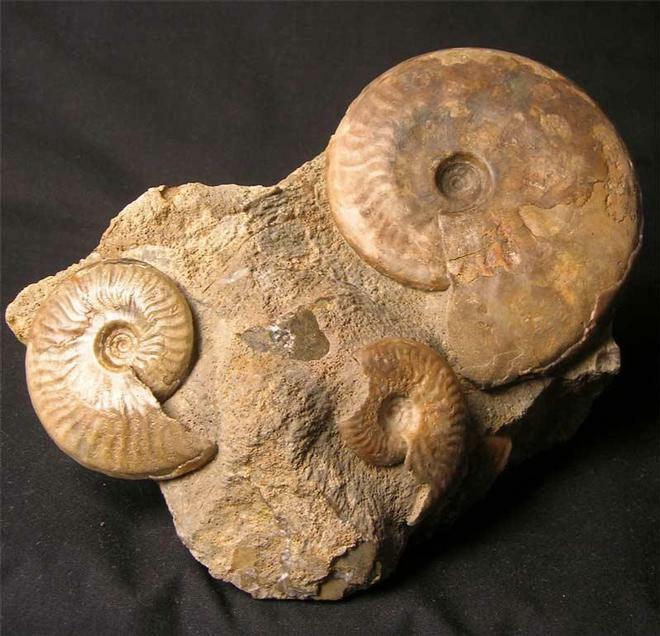 The smaller of the three ammonites has a bite mark taken out of it either by a predatory fish or a juvenile Ichthyosaur. 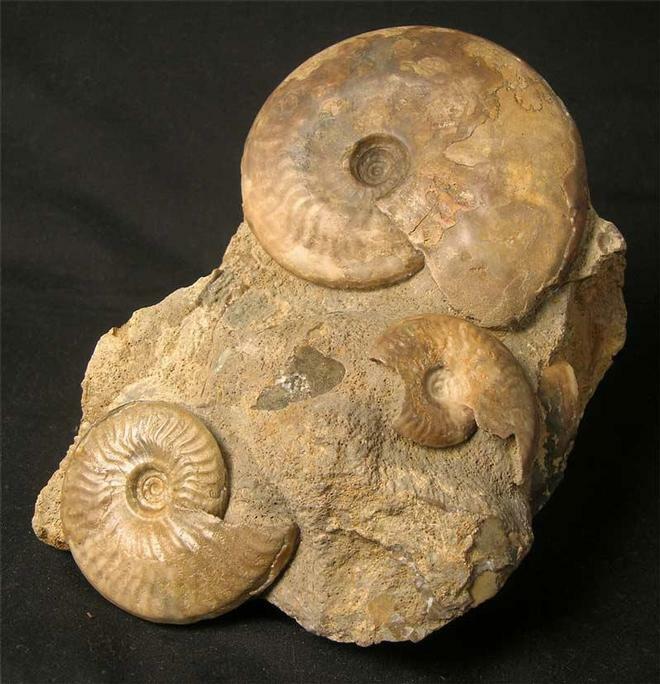 Leioceras comptocostatum is a highly variable ammonite as can be seen on the block. This particular locality is no longer accessible to the collector. 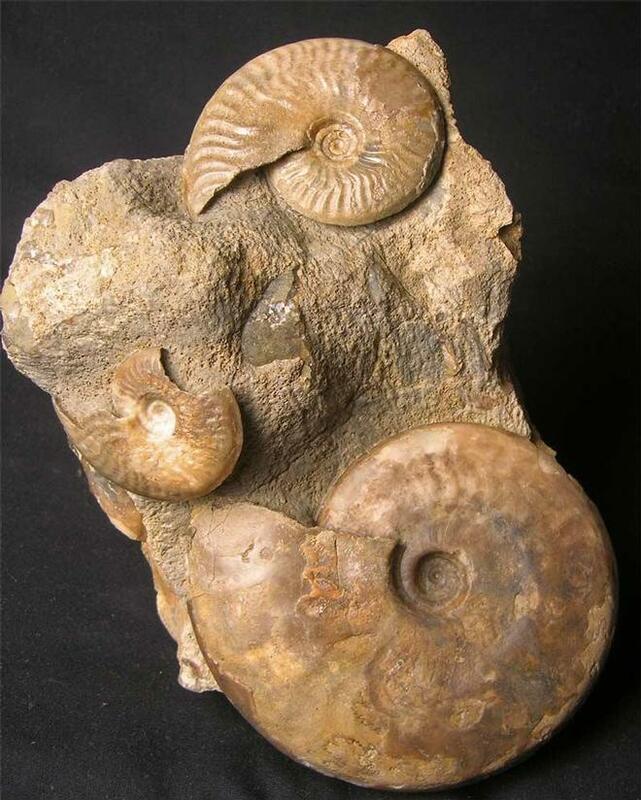 Many hours of preparation have gone into this beautiful display fossil. The matrix has a level base for display purposes. Approximately 176 million years old.